This year it seems like the candy the kids received the most from their trick-or-treating adventures is Snickers. 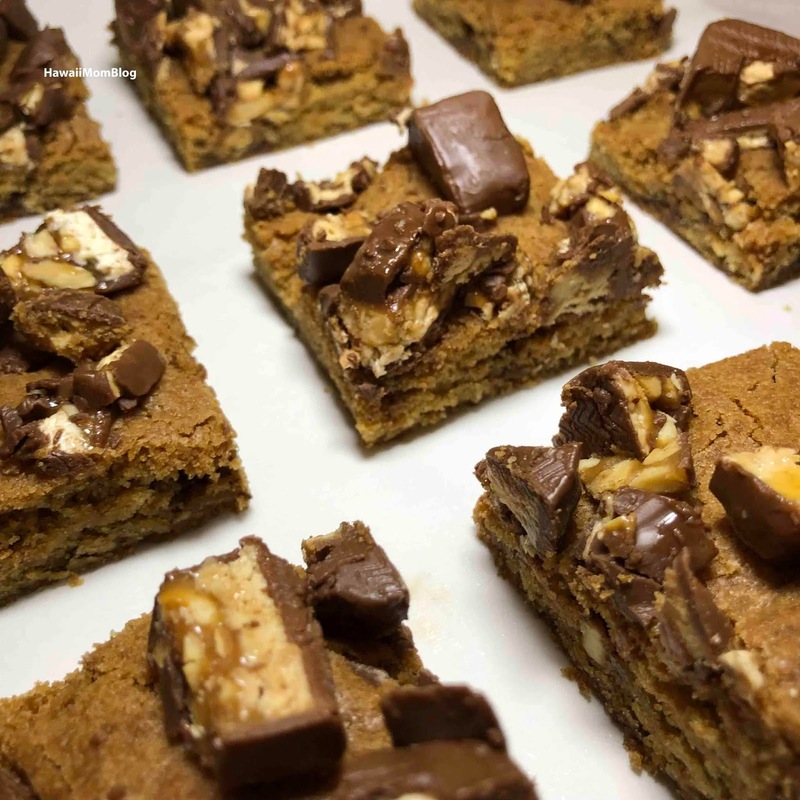 So, I decided to make Snickers Blondies! It's one of the few ways I'll eat Snickers (in addition to in brownies, or in ice cream). I love blondies, and I really enjoyed these Snickers Blondies, and so did the kids! Spray a 9x13 pan with cooking/baking spray. In a medium bowl cream the butter and sugars together until light and fluffy. Sprinkle remaining cup of chopped Snickers.